Experience a new way to play, a new way to design and a new way to meet. You have the scores even with bows and the Conductor in your mobile phone. You can edit the performance with Dot Editor online app! Post and join events to meet new musicians and play with them. Dot Conductor mobile app makes synchronized playing between different devices. 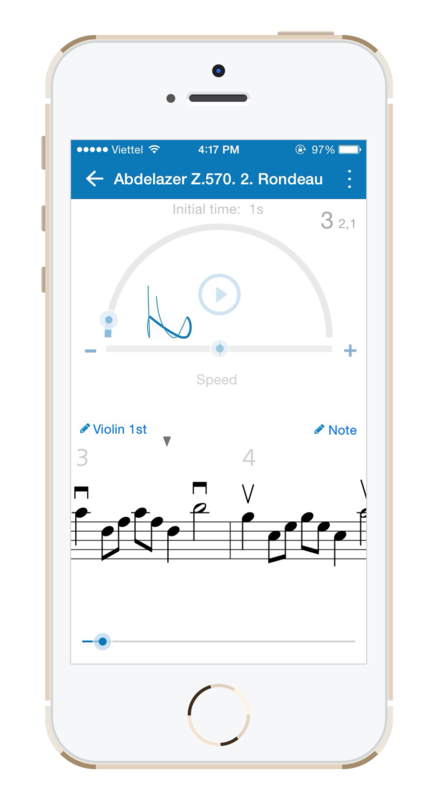 Each device contains the movement of a dot which previously has been edited by a Dot Editor online app that each musician of the orchestra need. You can even take notes in the score. Perfect for Classic and Jazz musicians. To Create and Join, you will need a Wi-Fi connection or have your phone in hotspot mode. it is an easy way to organize meetings to play and make rehearsals. It works differently than the “events” page of other social networks. You can set the perimeter of the post anywhere and anybody living in 150 km around will see it. 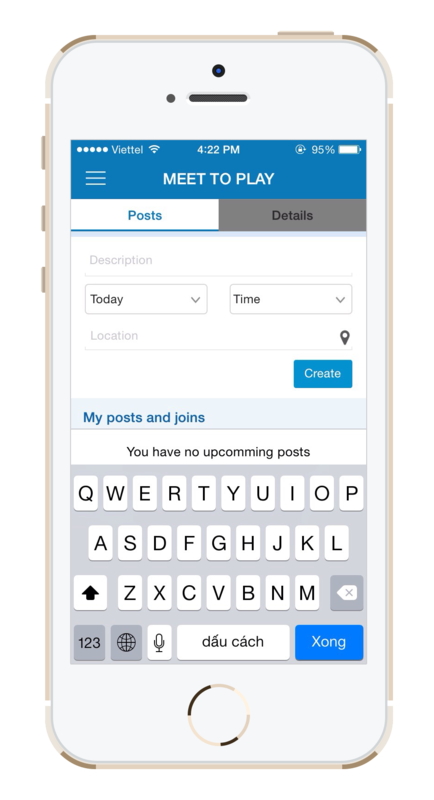 You can communicate with the group by comments as a group chat, add phone numbers to your contacts, access to whatsapp messages, etc.... You will have the “post” organized by “my posts and joins” which are ordered by time, and by “nearby” which are other post that still you have not join and are organized by proximity. 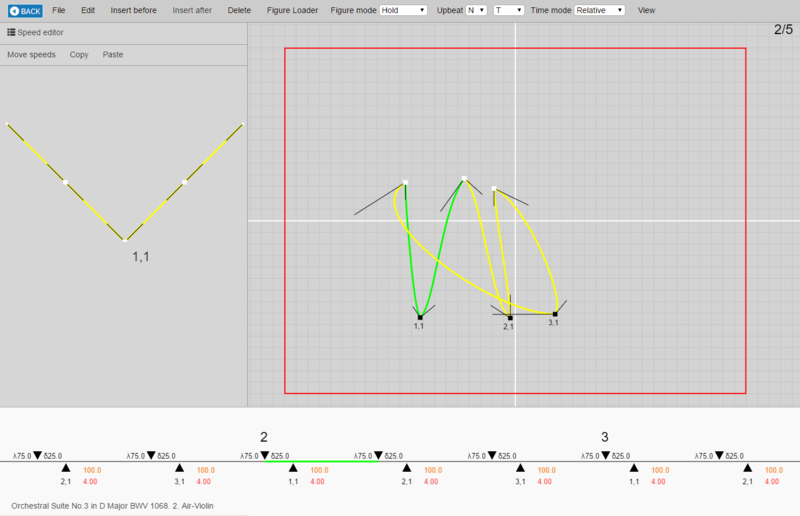 Dot editor online app is a tool which allows you to design the movement of the conducting. 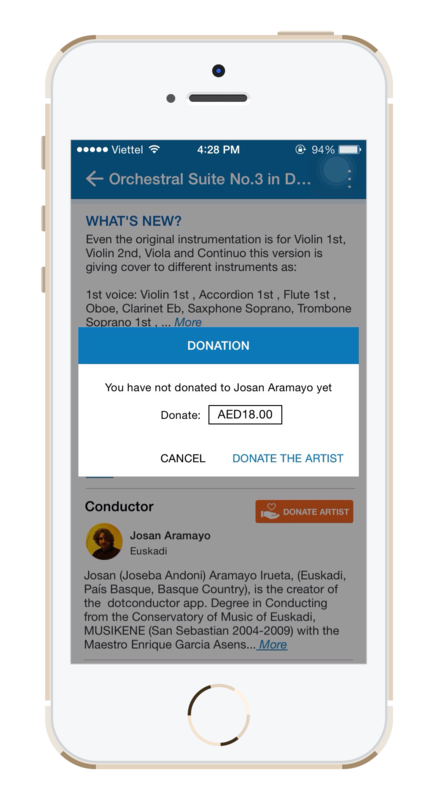 You will upload your editions to the store, to be downloaded by users from Dot Conductor mobile app, but the meaning of Dot editor online app, it is more than being just a simple tool to edit the movement of conducting. Dot Editor online app means that for first time it is possible edit the performance and with that, share and send the music idea to any part of the world in seconds, and this is a premiere in the History of the music. © 2015 DotConductor. All Rights Reserved.